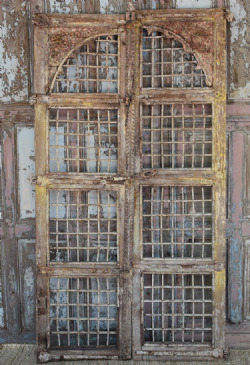 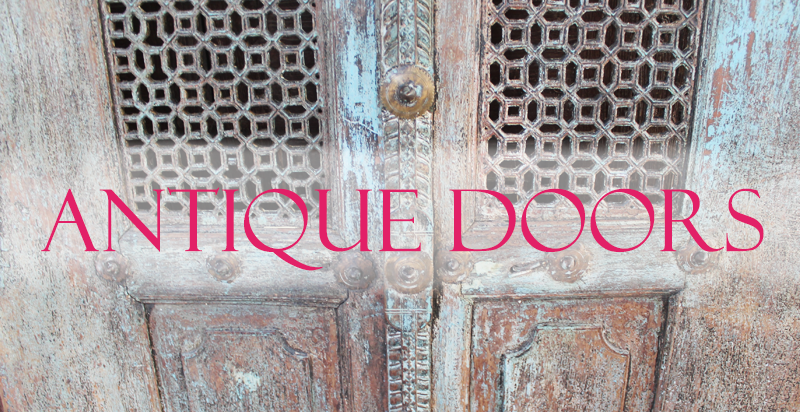 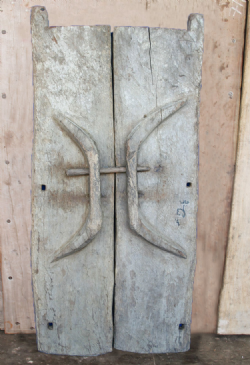 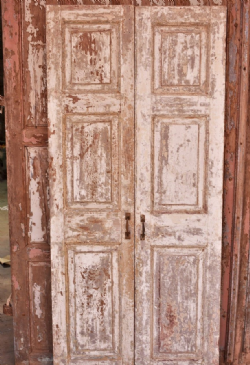 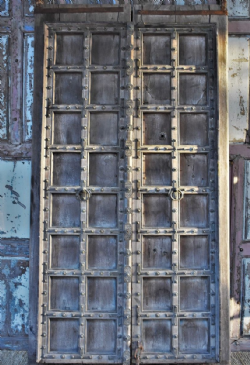 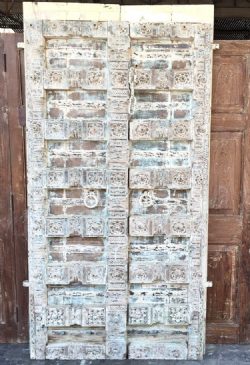 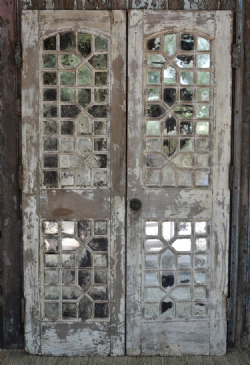 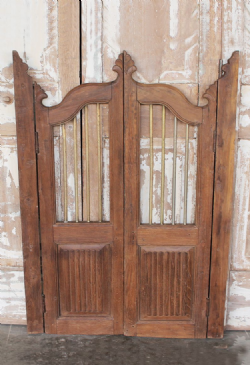 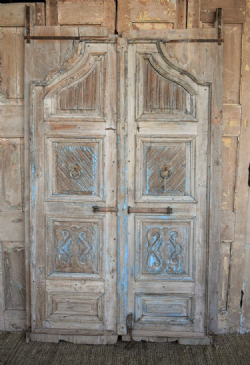 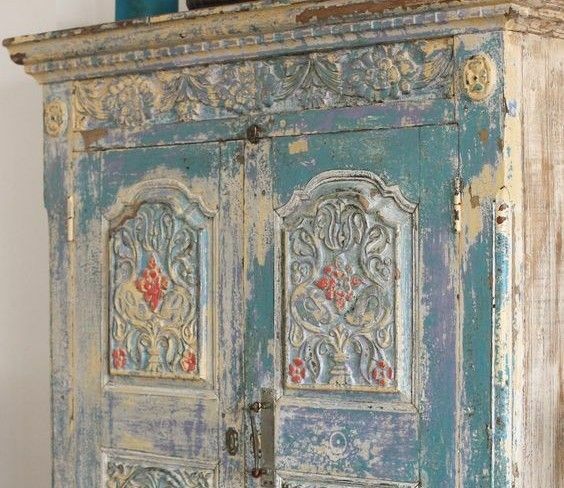 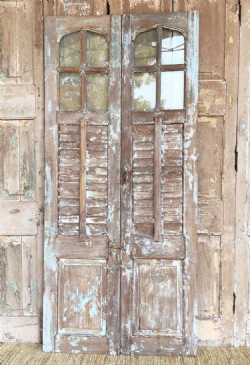 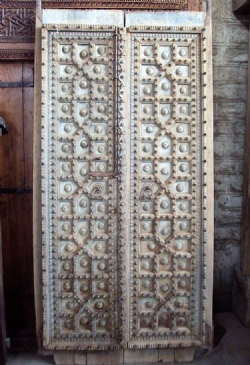 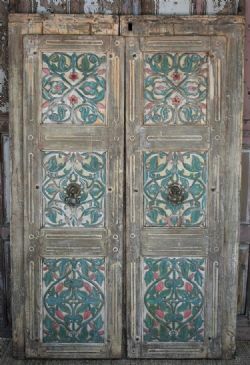 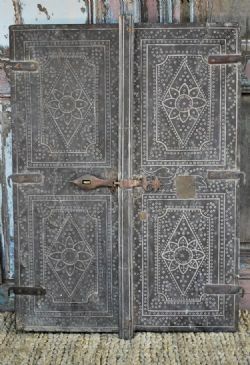 Opium sources doors made from teak and acacia wood, often with fine iron and brasswork, with our without the original frame. 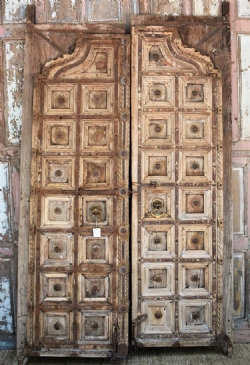 Door sizes are generally 250 metres high x 150 metres wide but we can source doors smaller and larger than this for clients' architectural projects in the UK and overseas. 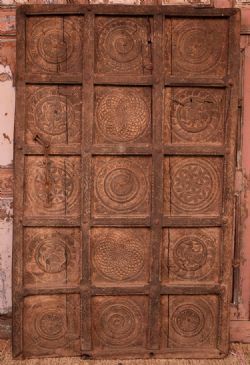 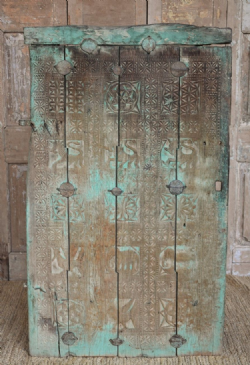 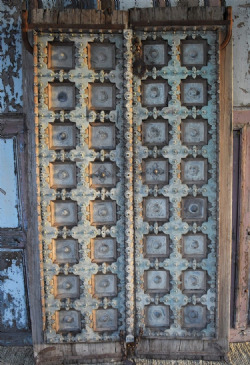 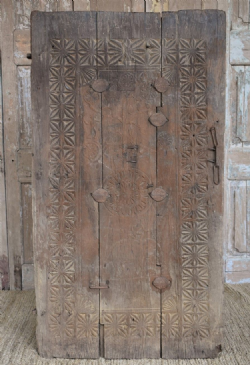 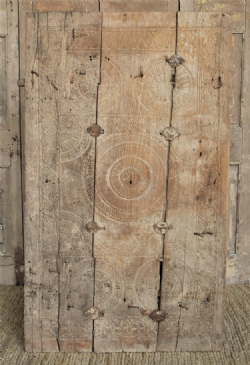 Tribal Door from Orissa with Chakra Motifs, 19th C.